September Sixfields 2010 – The Aftermath..
Sixfields was once a renound monthly meet for the Fiesta-Si.com faithful, with a regular turnout of 20 plus cars. 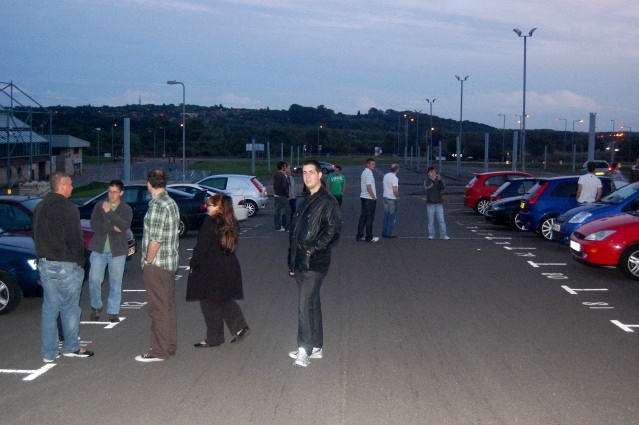 However, economic downturn meant a lot of people just couldn’t afford the petrol for the jaunt to Northampton, so the regular monthly meet turned into a no show due to dwindling turnout numbers. A break was needed. Sixfields took a back seat as more local meets were becoming the thing to do. But, with many people finding more disposable income as the economy finds its feet again, maybe it was time to bring Sixfields back to the fore. A new approach was needed, gone are the days of having this kind of meet as a monthly operation. Instead, the anticipation of such a widespread and large meet is to be built up over a couple of months, and the key to holding Sixfields again on ANY kind of regular basis was the Revival Meet. So with the date set, the details announced, and everyone’s confirmations of attendance, just how successful would it prove to be? Would people show up as promised, would people still like the tried and tested formula of the evenings progression, and would people actually enjoy it? The answer to those questions is a resounding yes! The turnout to the Revival Meet was awesome, with pretty much a full list of attendee’s. There were many new faces, many old faces (and a few ugly faces), but the turnout was a credit to those who put the effort in. 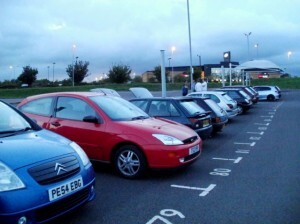 Once again in the history of Sixfields meets, we had a superb turnout of Fiesta Si’s, which is what Sixfields was built on. We also had a number of other Fords, including Fiesta ST’s, Foci, and even a Fiesta van! And then there were the French cars and Japanese cars, including a Citroen C2, Pug 205, and a couple of tasty Integra Type R’s. We even had an Alfa Romeo! So quite a variety to cater for all types, and they all looked superb. And boy did that pub love us! Everyone was hungry, so straight in line for the food were 20 plus people, to which the barmaids face dropped! The amount of food being ordered must surely have been a shock for the chef, he certainly earned his wages that night. With seating at a premium, we panned out which caused a great deal of confusion when the food was brought out, one by one much like a production line, as it had all been ordered to one table number. Once the food was dealt with a select few decided to take on the ice cream challenge. A mountain of ice cream. One giant jar. One spoon. Go! After this, we all headed into the arcade for a game or 2. Most who were still eating, missed the Clash of the Titans, a double sized air hockey table, 2 admins, one mod, and one Mouse, let battle commence! With going into too much detail, the Admin/Mod team of EvilDes and Chop_Suey demolished the Admin/Mouse team of Ry and, well, Mouse! But I digress, time to head into Northampton! A quick check of everyone’s attendance, and we were off to the centre of Northampton, a busy end to the night, with the usually bustling dual carriageway providing a few laughs as those who *think* they know about cars passing by trying to race things clearly out of their league (red Corsa anyone?). Our usual parking area was for some reason full, so we moved to another area, not realising the birds in the tree’s above must have eaten vindaloo for dinner, as they proceeded to drop their guts on a few cars. And some of it wasn’t pretty, having the colour and composition of tar! Nice! As the evening progressed, pictures were taken, the chat was more relaxed, and the light sabres came out. Yes, I did say light sabre’s. Big thanks to Percy for providing these awesome tools of fun, and not let them gather dust as “collectables”.